Each day of this trip just keeps getting better and better! 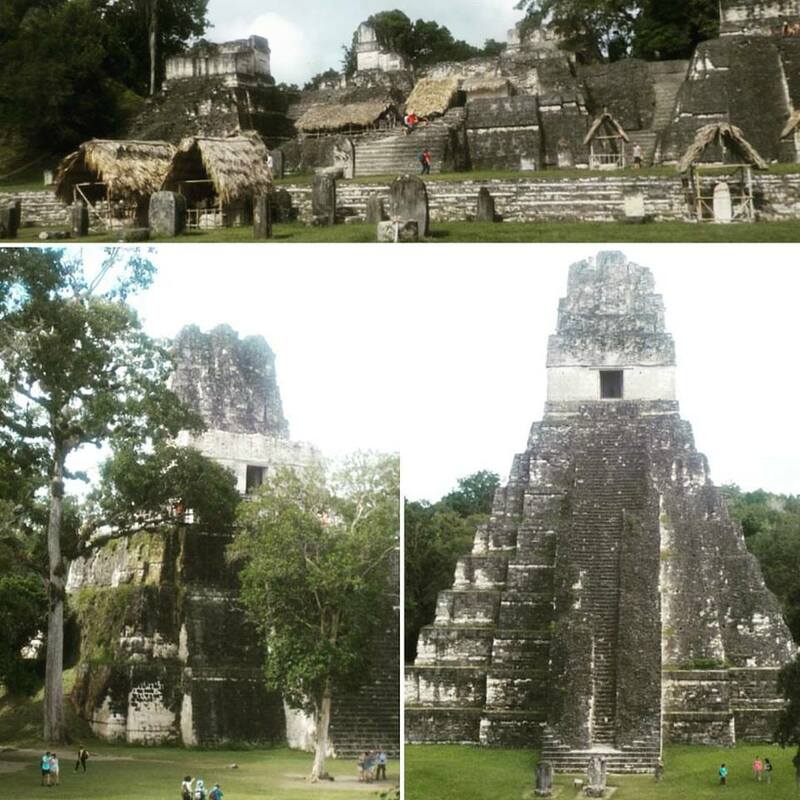 To close out 2015, we went to Tikal, one of the most famous and recognizable sites in Mesoamerica. Tikal is massive! At it’s peak, it had a population of about 125,000–150,000 people. It is also one of the more excavated sites in the region (though still only about 20% of it has been excavated), and is home to some of the largest structures known in ancient Mesoamerican. 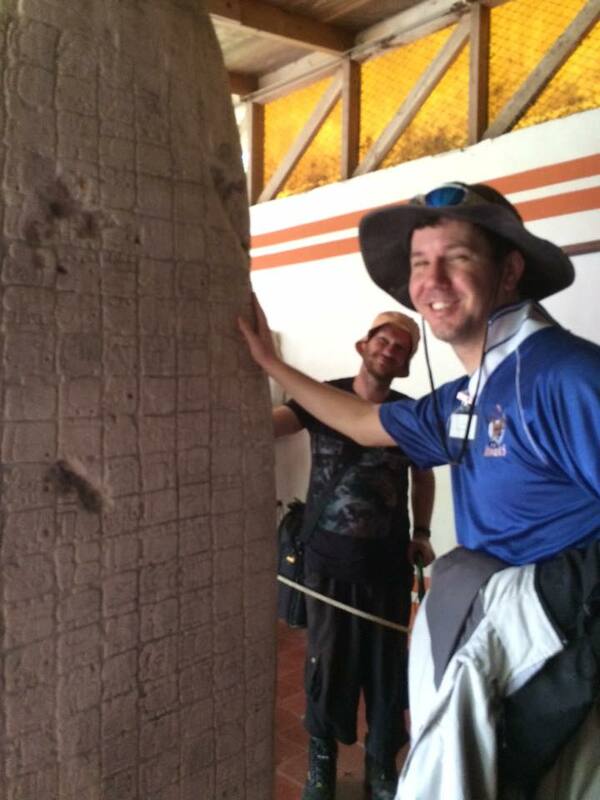 In fact, Temple IV, standing at 231 feet, is the tallest pyramid thus far discovered in Mesoamerica. Tikal, like most other sites, is a Pre-Classic site that was largely built over during the Classic era. Earliest evidence of settlement in the area dates back to the 10th century BC, and ceramics found from around 7th–6th century BC. The earliest structures so far uncovered and excavated at the site are from about 500–300 BC. These include the so-called “lost world” complex, which includes two large pyramids. Most of the structures at the site, however, are much later. At least, the layers now visible come from the much later Classic era construction. This includes the extensive works at the Central Plaza. As is clear, Tikal dates back into Book of Mormon times. Since I favor Rio Grijalva as the River Sidon, I don’t personally think it is directly involved in any Book of Mormon events. 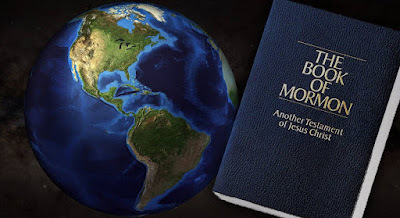 Since its history is concurrent with Book of Mormon timeframes, however, it can shed light on the history and culture within which Book of Mormon peoples participate. For example, the Book of Mormon describes a massive war taking place in the late 4th century AD. The war was so extensive that an entire culture group—the Nephites, of course, was eliminated. In recent years, evidence of widespread warfare throughout Mesoamerica during the late 4th century has emerged. Some of that evidence is found here at Tikal, where inscriptions indicated that in AD 378 Siyah K’ak’, a general from Teotihuacan invaded Tikal and killed Chak Tok Ich’aak, then the king at Tikal. Teotihuacan is in Central Mexico, a long ways away from Tikal, indicating wide reaching influence, likely through military conquest. Teotihuacan was a militarized city-state which thrived on conquest. With the arrival of Teotihuacanos also came a new culture of war—one which focused more on the complete destruction of the enemy. The final battles of the Nephites and Lamanites fit well within this wider context of conquest and warfare. Furthermore, Moroni’s report of continued warfare amongst sub-groups of those he considered Lamanites is consistent with the persistence of this war culture for centuries to come in Mesoamerica. Tikal is an incredible site, offering stunning ruins and breathtaking views from the top of some of the greatest pyramids throughout the region. I could not help but feel that my time there was much too limited. There is so much more to explore there, which we did not have time for. Sitting atop Temple IV and taking it all in was a surreal experience. I just couldn’t believe I was really there. It was the perfect way to spend my New Year’s Eve, reflecting upon the incredible year I have had and the miracles that got me through it. I can’t wait to see what 2016 has in store for me! I find it interesting how the date of the Entrada of 378 AD fits* with the dates of the final Nephite battles (*depending on which calendar you use). But I see no problem with Tikal or other related sites being part of later BoM events. With either Grijalva or Usumacinta as Sidon the BoM still indicates that Zarahemla was not the center of power after the 1st century. Most of the battles fought by Mormon were over the city of Desolation. Zarahemla and many other previously important cities are not even mentioned, either as being captured or fought over. So with the Grijalva as Sidon the cities of the low lands may still have been important for late Nephite events.